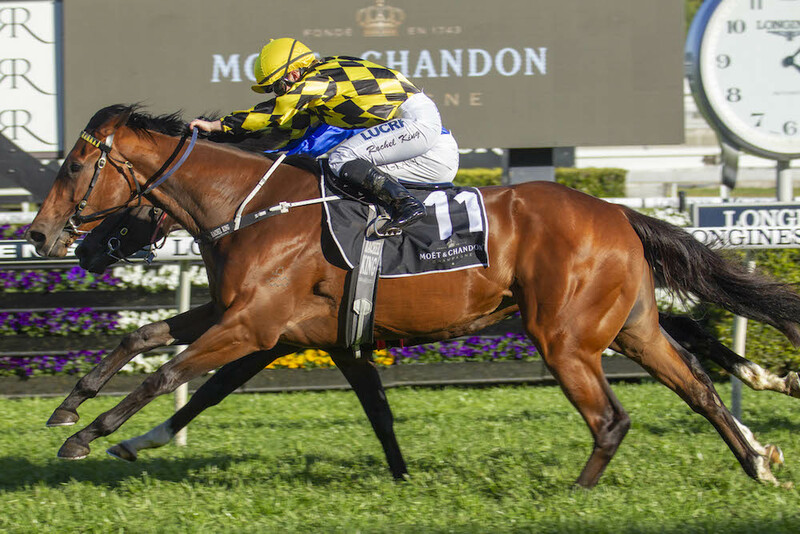 Group 1 winner Maid Of Heaven, Group-placed 3YO Dealmaker, debut 2YO winner Castelvecchio and a trio of progressive winners in Hong Kong & Singapore are the latest Arrowfield Inglis Classic graduates delighting their owners this season. Bred by the Stud in partnership, Maid Of Heaven was offered at the 2017 Classic Sale where Dean Hawthorne, acting on Arrowfield’s behalf, bought her outright for $60,000. Sent to the Mark Newnham stable, she developed in little more than three months from her late 2YO debut to a stirring victory in the 2018 ATC Spring Champion S. G1, becoming only the second filly to win the race in its 47-year history. Maid Of Heaven’s half-brother, 2YO colt Castelvecchio (by Dundeel) could not have been more impressive when scoring on debut in Sydney less than 12 months after Ottavio & Wendy Galletta purchased him for $150,000. Dealmaker (Dundeel-Sport Chic) has already returned much of the $160,000 that Star Thoroughbreds & Chris Waller paid for him with a city win and two Group placings, and his best days are still ahead of him. The same can be said of three colts now racing in Asia, Irving Lipschitz in Singapore and Perfect Match & Country Star in Hong Kong. Irving Lipschitz (Animal Kingdom-Intimation) was a $50,000 purchase by Woodpark Stud and became the first international winner for Bennett Racing at only his second start in December 2018. Chris McAnulty’s $130,000 bid secured Perfect Match (Not A Single Doubt-Modave), winner of the HKJC Griffin Trophy and two other races from his first four starts for the Danny Shum stable. Country Star (Starcraft-Moonrush), a $90,000 buy for Aquanita Racing, has already won four of his first seven starts for champion Hong Kong trainer John Size. And there’s plenty more talent to be found in Arrowfield’s 46-lot 2019 Inglis Classic consignment which is dominated by the Stud’s next-generation sires: Dundeel, supplying abundant evidence in support of his hashtag #therealdeel; Olympic Glory, off to a flying start in Europe with 21 first-crop 2YO winners, including Listed winner Watch Me; and the first yearlings by dual Group 1-winning sprinter-miler Real Impact and brilliant sprinting 3YO Scissor Kick.